Michael Vaughan was injured, so England were captained by Andrew “Freddie” Flintoff –- almost as big a talisman to his team as Michael Jordan to the Chicago Bulls or Colin Montgomerie to a European Ryder Cup side. By now, most of you will have read how fast bowler Steve Harmison –- who had terrorized Australia’s batsmen with his pace and bounce the year before –- lamely bowled his opening ball of the 2006-07 Ashes series so wide that it went straight to his skipper, Flintoff, at second slip. My recollection is that the loudest noise in the Gabba at that moment was the collective groan of England’s large media contingent. Journalists take care to be subjective when reporting on any of their country’s sports teams but no-one enjoyed detailing the demise of Fred and his men over the next couple of months. So here we are again and, at the very least, we can be optimistic for a closer contest this time. Although Australia were head and shoulders above every cricketing nation in the world for almost two decades, they are certainly not the force they were. They’ve dropped down to fifth in the global Test rankings and there are ominous echoes of their wilderness years during the 1980s. Back then, Allan Border had the task of leading his country out of its cricketing problems. Now, Australia’s current captain Ricky Ponting has a different problem. Can he leave a squad capable of beating the best in the world before he hangs up his spikes? Beating the English and reclaiming the Ashes would be a start. 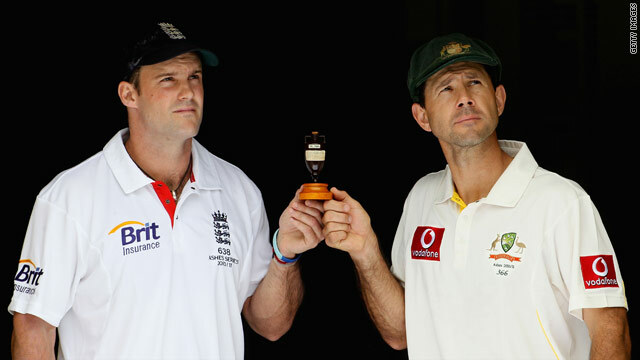 Congratulations to Andrew Strauss and his gallant men. A 3-1 Ashes Series win Down Under is no mean achievement to team chief Andy Flower and his successful think tank.